Apparently, Motorola, Google, and Verizon have teamed up to produce the Star Wars Empire Strikes Back Special Edition Phone. 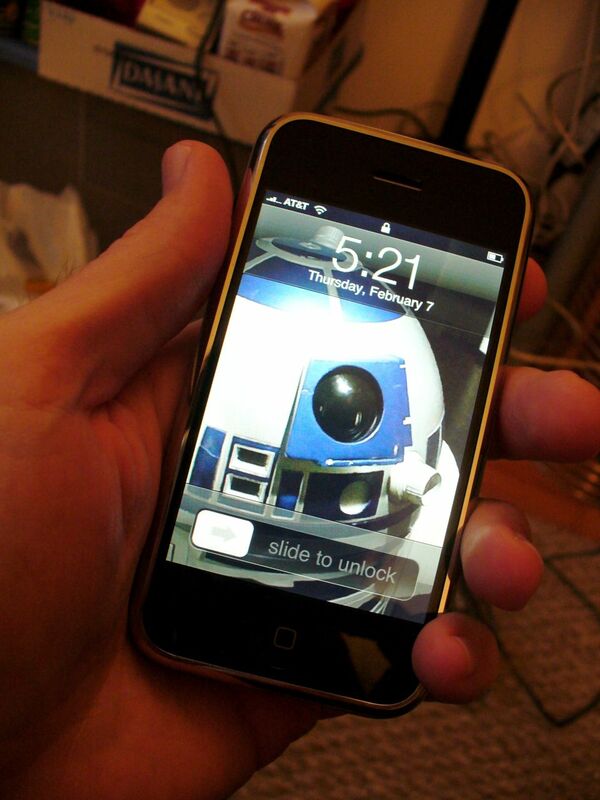 You can learn about it at the official site here (if you follow @droidlanding on Twitter), or see a picture of the phone here (it looks like a flat, rectangular R2-D2). In all honesty, I’ve been thinking a lot about Star Wars merchandising lately. I’m troubled by it, by my participation in it (yes, I just mailed off my five UPCs for the vintage, rocket firing Boba Fett), and its lasting effect on life to the present (collecting, playing, maintaining interest in movie tie-in toys). I am going to write more on this in the future, but I want to scan some old Christmas and Birthday photos first, so that I can use them in my essay. For the time being, consider Star Wars and ESB Producer Gary Kurtz’s interview here, in which he says: “The emphasis on the toys, it’s like the cart driving the horse. . . . If it wasn’t for that the films would be done for their own merits. The creative team wouldn’t be looking over their shoulder all the time.” Now, I’m off to Wal-Mart to see if they have any of the new vintage Star Wars action figures in stock.